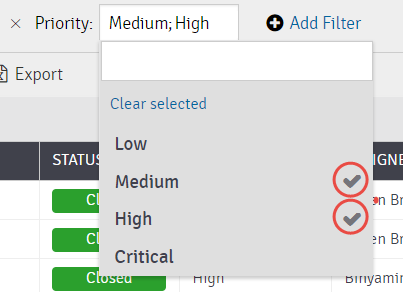 Panaya Success Center How to sort, filter & group Defects? 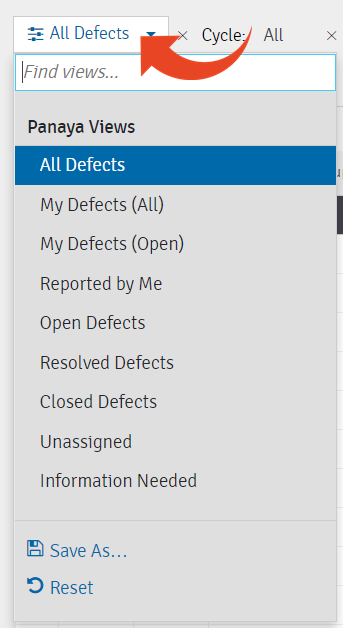 The Defects List view allows your to add fields, sort, filter, group or reorder the information displayed and then export the list or save your own customized views. 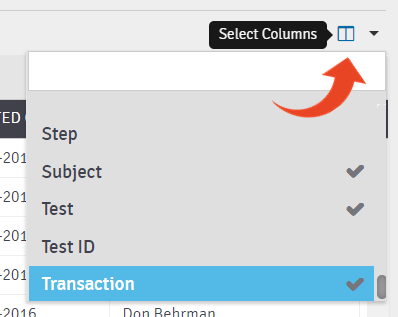 To group columns, drag a column header and drop it in the area above the table. Panaya will display the count number for each group of Defects. 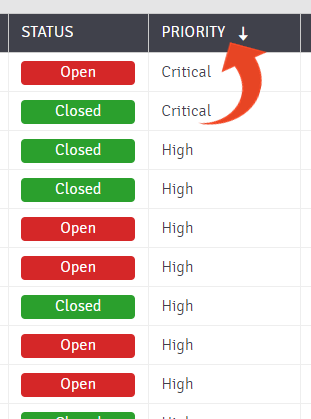 To expand or collapse all grouped columns, use the Expand / Collapse button at the top left corner of the list. Use the View Selection option to change the current view by clicking on All Defects. 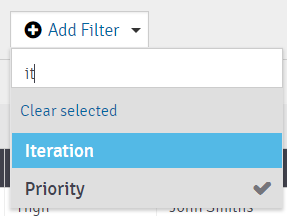 To add a new filter, click on the Add Filter button and select the relevant field. 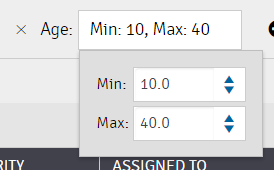 You can use the search box to begin typing the field name. 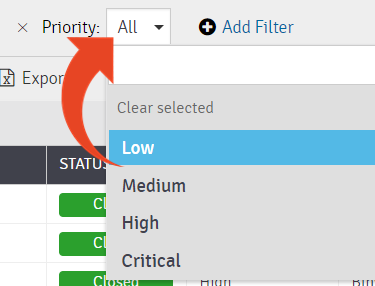 To determine the values to display, click on the All for the relevant filter and multi-select the values. Then click outside of the filter box to apply.